In a previous post I wrote about pain. That without it, there is no progress. In other words: “no pain, no gain”. Ideas are not enough without commitment. They are not enough because strategy is empty without change, empty without passion, and empty without people willing to confront the void. We all know the story of Icarus. Icarus’ father was a brilliant engineer. He had been banished to prison for sabotaging the work of King Minos. His father hatched a plan to escape prison and fashioned two sets of wings, so he and Icarus could fly beyond the prison walls to freedom. Icarus was told by his father not to fly too close to the sun as the wax binding his wings together would melt. He disobeyed his father and we all know what happened next: The wax melted, and Icarus tumbled to the sea and died. The intended lessons of this myth: don’t try to reach your loftiest goals too quickly, because you might burn out ; and (2) always listen to your parents, especially in situations involving wax wings and celestial bodies. 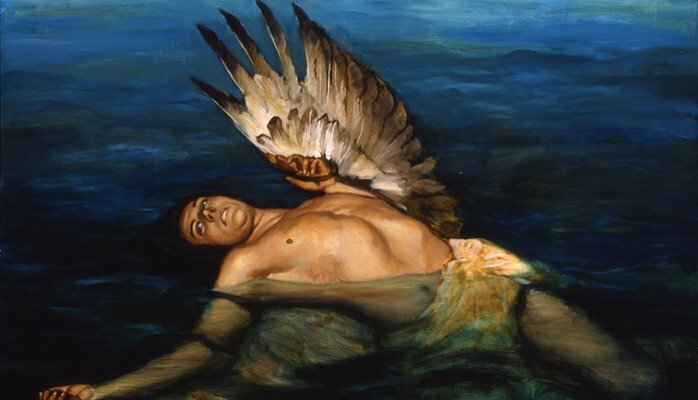 The –in our eyes — vital part of the myth that has been glossed over is that Icarus’ father also told him not to fly too low, as the sea would ruin his lift and he would also fall to the sea. We are all willing to sit quietly in meetings, to not offer up an opinion, to not stand out. That is normal. Society has taught us about the dangers of standing up. So we stay low to the ground, sit at the back of the room in complete safety. We are so obsessed with the risk of flying high that we have traded everything in to avoid it, settling for low expectations and small dreams and a guarantee of less than we are capable of, all because we are afraid of falling – S.Godin. If history teaches us anything, it is that the future belongs to those who are willing to leap in order to fly. So commit to the frightening work of flying blind, of taking a stand and of turning an idea into something new. Don’t and nothing will happen at all. We are really lucky to work with organisations who are all looking to grow through innovation and committing to ideas. Some ideas may fail, but none of the clients we work for are standing still or flying low. They are willing to push forward into unchartered territory, and if they do fall then we learn from it. Eventually they will fly though, and keep on flying. Made it this far? Why not contact us? We work with organisations looking to develop new ideas which can help them grow – whether it’s exploring a new market or a completely new brand, product or service. 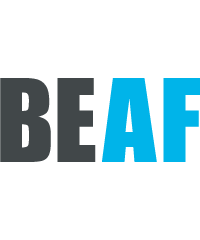 Get in contact with us by emailing me at nik@beaf.com or by calling 01242 715 483.